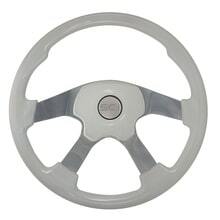 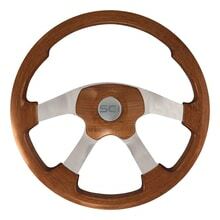 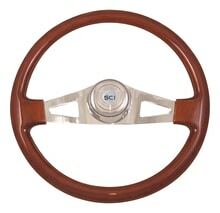 20″ Wildwood wood steering wheel. Available in Light Mahogany, Mahogany, Red, Blue, Black, and Ivory. 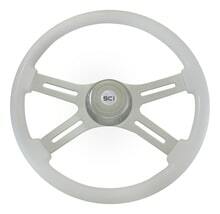 Polished stainless steel 4 spoke. 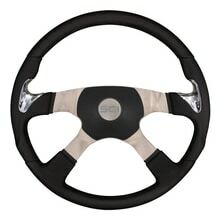 Made by Steering Creations. Sold by each.